Sparksey4869 Model Trains: Take 3! 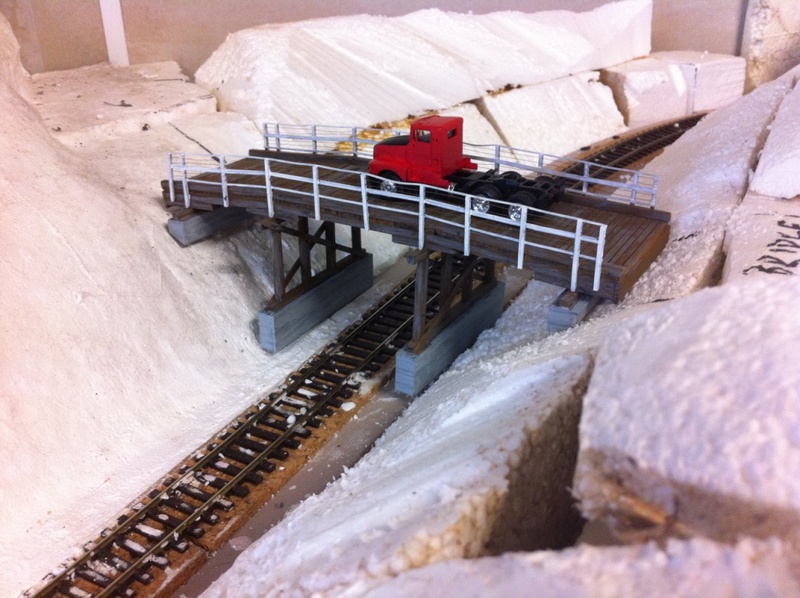 After the bridge was painted, it was test fitted to ensure that once plastering had been completed it wouldn't require too much bastardization to get it to fit. 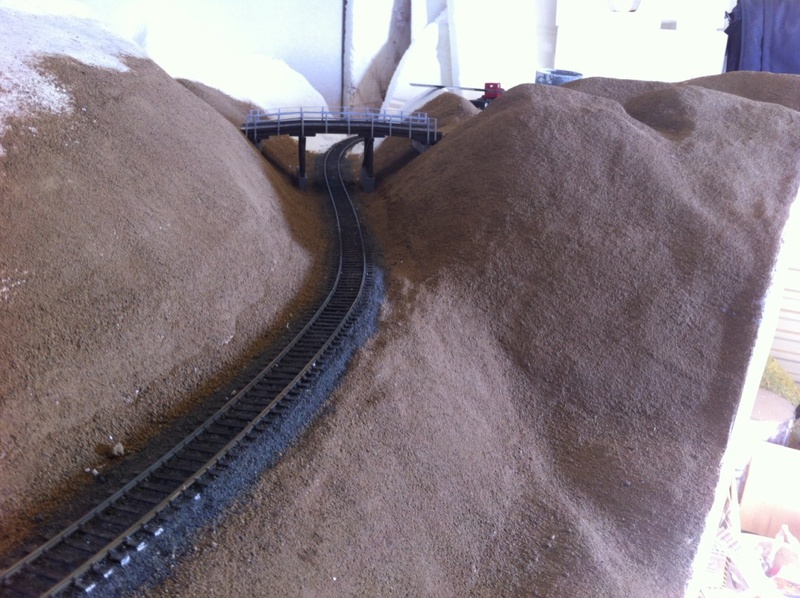 Looking along the single lane dirt road after the plastering had been completed. The view from the North. The first of the dirt has gone down to get an idea of how it will look. 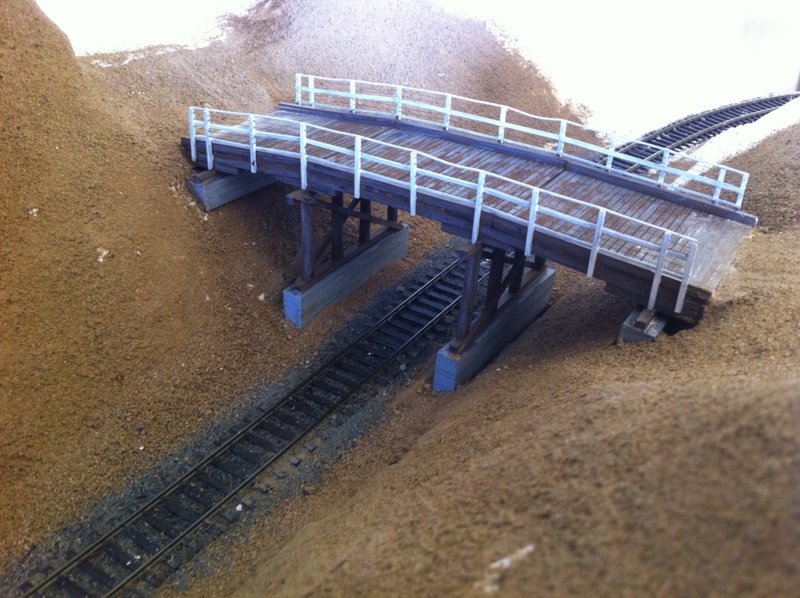 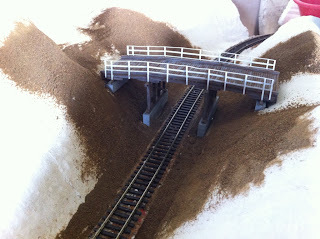 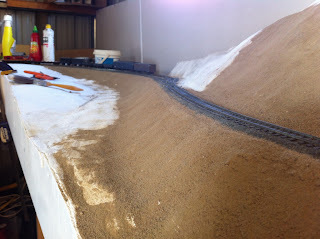 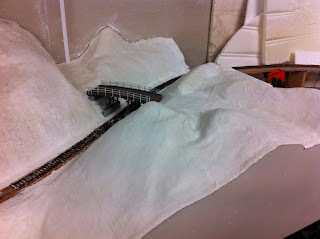 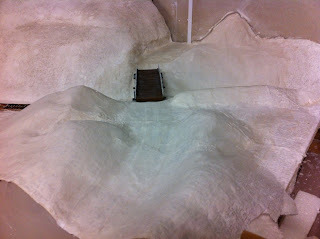 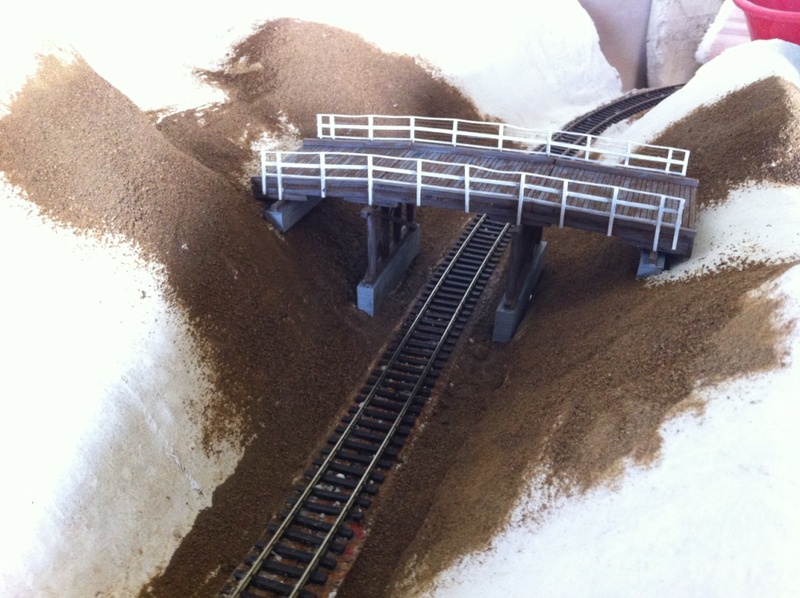 Laying of the dirt and Ballast has been completed. The view in the opposite direction.